When you attract new potential patients and builds trust with them by offering information they value via newsletters, blogs and your posts on social media platforms. 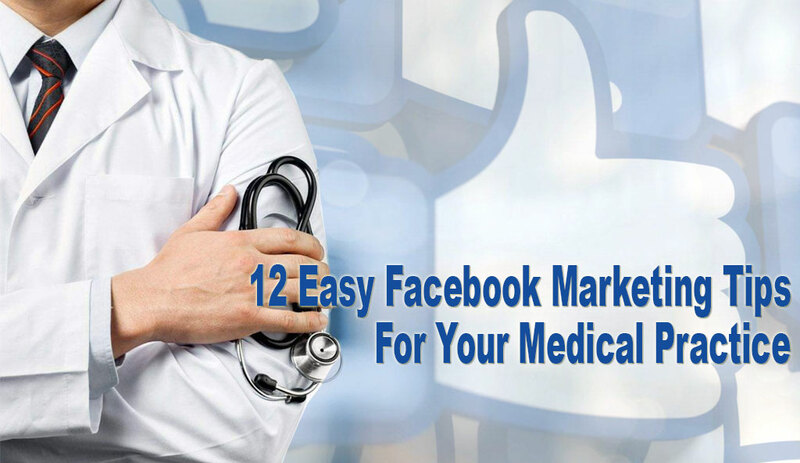 Once these new potential patients are on your website, they can then be converted into leads by signing up to download a free valuable offering. You can then close the sale by nurturing the relationship and helping your patients find what they are looking for. If they are ready to finalize a deal, you can help them with that and make sure they are happy while using the services of your practice. Inbound marketing helps you create a strong presence on the internet because you will have a website which has effective content features a marketing place which his greatly targeted toward a specific demographic. Even though this will take some time and energy to establish, it will pay off in the end because the ROI is higher than it would be with regular marketing. You need to know where you want to go before you can get there. 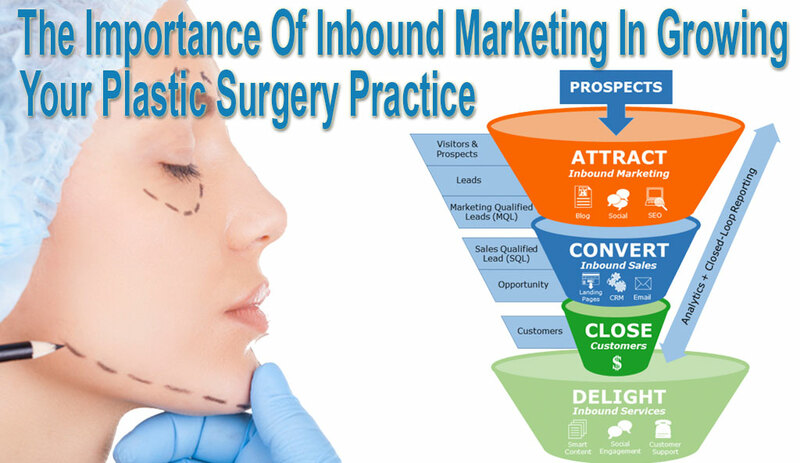 Inbound marketing involves creating content which clearly describes your plastic surgery practice and the type of patients which go there. Think about the your favorite drink, think about the brand of this beverage and how it advertises itself throughout various platforms, like print, television, social media, and the internet. Are the messages and pictures of the brand the same throughout all these platforms? If so, then this consistency would explain why they are successful. People will trust a brand if they know what they are about and what to expect when using their products. Every business needs to build trust with their customers to be successful. However, this is even more imperative with a plastic surgery practice because it is so much more personal for the patient. That is why the image of your practice’s brand needs to be thought out carefully. 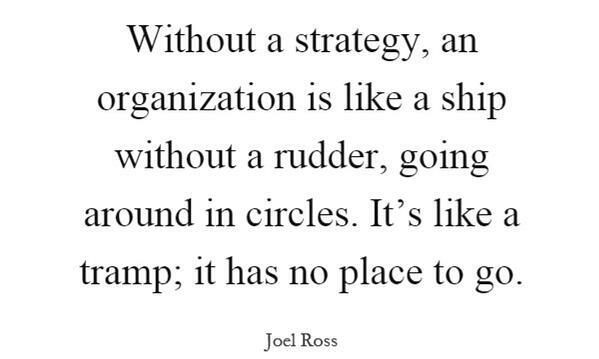 Understanding the brand is only half the battle. You must also understand your perfect types of patients and what you can expect from them. It is not enough to just understand their challenges, needs, demands, and desires. You need to understand their own unique lifestyles and all the challenges they face both professionally and personally. This is how mere visitors to your website will be converted into trusting promotors. Building a website does not mean your potential patients are going to see it, at least not the right people. Since you are building your website for your targeted potential patients, the content needs to reflect an understanding of who they are and what motivates them. This knowledge should be reflected in your practice’s social media posts, blog posts, internet advertisements, and all other advertisements and content. Make sure you implement targeted keywords into your content so that you can generate organic traffic from search engines. 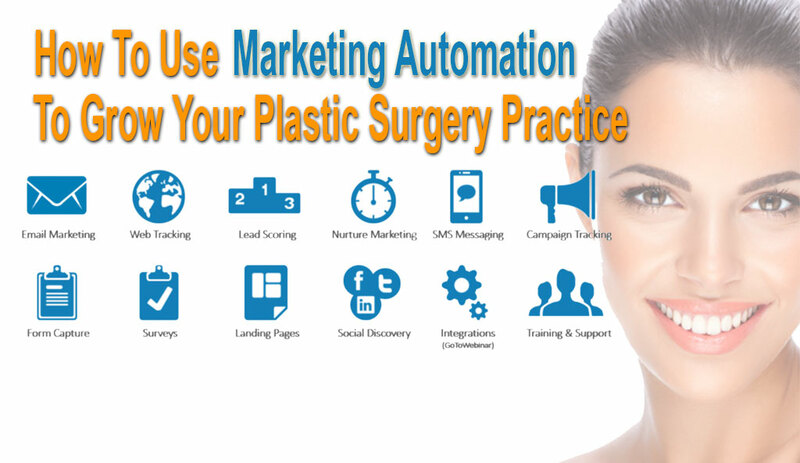 HubSpot is a great platform for inbound marketing because it gives you all the necessary elements for marketing your plastic surgery practice successfully. This fully integrated system contains automated email management, automated social media management, website hosting, web traffic tracking, advertising, and download tracking. Overall, you will be able to track how successful your email campaigns have been as well as your advertisement responses, web page traffic, and conversion rates. Reports can be generated whenever you want from a list that is customized or already prepared. HubSpot simply makes everything easier in an inbound marketing campaign. If you have made your website live on the internet and are continuing to publish content which gives your potential patients solutions and answers to their questions, the next step is to use compelling content to guide all your website’s visitors into the next stage. This is known as the consideration stage. Create landing pages which give brief descriptions of the assets that can be downloaded. They can also talk about upcoming events. On the bottom of the landing pages, have a form for visitors to fill out in order for the action to occur. The details of the procedures need to be described in the website content. Use targeted content, like before and after pictures, to assist you in these details. The staff of your plastic surgery practice should be described or talked about in social media posts. Include educational content and all relevant before and after pictures. Special events happening soon should be posted as announcements. After getting the attention of your leads, you need to keep the communication going with them by providing information which is highly targeted and pertains to their particular interests. The communication should also relate to their personal perspectives as well. If done correctly, your leads will become more confident in your practice because they will believe that it can get them the results that they are after. Inbound marketing is all about converting leads by guiding them throughout various channels using many different types of messages. An email campaign where you nurture them is one of the best tools you can use. The important thing to remember is to send automated emails that are personalized and highly targeted toward your leads’ interests and desires. These emails need to be timed appropriately and contain lots of valuable information which is beneficial to those leads and will get them to make a deal. Let’s look at an example here. Suppose a woman named Jane downloads an eBook with information about breast augmentation. One week later, an email gets sent to her which asks if there are any questions she wants to ask about the content. This email will also contain URL links that will forward her to relevant video testimonials about the procedure and/or practice. The next week, another email is sent to her which has information about the practice’s important staff members. The next email that gets sent will contain a short description about an infographic which features photographs of various breast augmentation methods. There will be a URL link for her to click on so that she can download a free copy of the infographic. Lastly, one more email will be sent which contains information on her financing options. In the closing of every email throughout this series, there will be an invitation for her to contact us through phone or email if she has any questions or if she wishes to schedule a consultation. Patients who have successfully received your practice’s services should not be lost forever. You need to continue communication with them because word-of-mouth advertising will take over. Your satisfied patients may feel compelled to go on third-party websites and social media platforms to write reviews and comments about their experience with your practice. This will help give you a lot of free word-of-mouth traffic that could grow your practice significantly. To bring back satisfied patients to your practice, you need to create incentives for them. These could be early discount offers on new procedures or products from your practice. You could also have VIP event invitations, referral bonuses, social media promotions, email promotions, and digital advertising promotions. 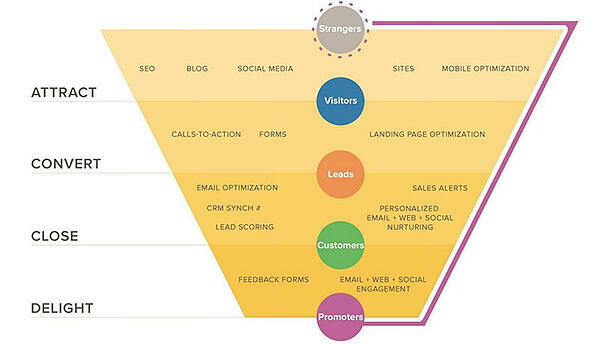 To perform inbound marketing well for your practice, you need to have the right expertise in it. This is where Peak Marketers can be helpful because we are an inbound marketing agency, certified by HubSpot parented and specializes in the field of bringing more traffic and leads to healthcare and plastic surgery practices. We have proven constantly that great ROIs can be achieved with inbound marketing because of the amazing results that are generated.